A new battery could be made partly from carbon dioxide captured from power plants. This battery could continuously convert carbon dioxide into a solid mineral carbonate as it discharges. Although this concept is only based on early-stage research, the new battery formulation could open up new avenues that ultimately help reduce the emission of greenhouse gas to the atmosphere. Currently, powerplants equipped with carbon capture systems use up to 30 percent of the electricity they generate just to capture, release, and store the generated carbon dioxide. This new battery system could reduce the cost of that capture process significantly and can make material for one of the main components of a battery simultaneously. 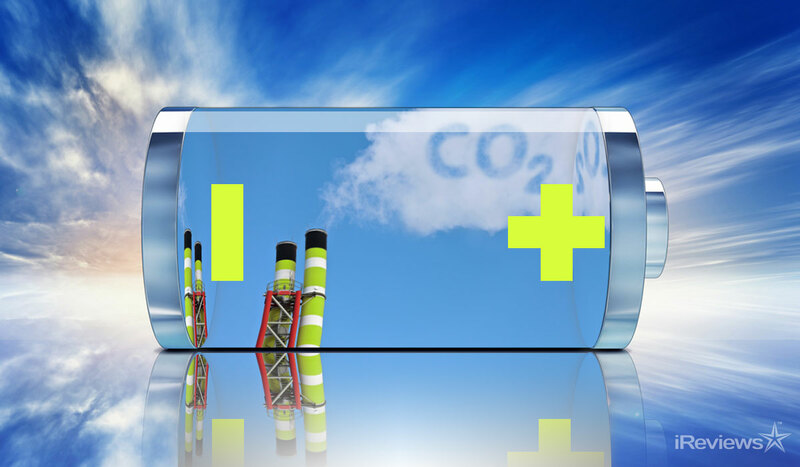 Researchers showed that they can produce a lithium-carbon dioxide battery with voltage and capacity that are competitive with state-of-the-art lithium-gas batteries. However, this early system has not been optimized and requires further development. Currently, the cycle life of the battery is limited to 10 charge-discharge cycles, requiring more research to improve rechargeability and prevent degradation of the cell components. “Lithium-carbon dioxide batteries are years away” as a viable product, says Betar Gallant, assistant professor of mechanical engineering and lead author. This research covers only one of several needed advances to make them practical. Carbon capture is considered essential to meeting worldwide goals for reducing greenhouse gas emissions, but there are not yet proven, long-term ways of disposing of or using all the resulting carbon dioxide. Ultimately, the researchers hope to make this into an integrated system that will carry both the capture of carbon dioxide from a power plant’s emission stream, and its conversion into an electrochemical material that could then be used in batteries. This is one way to sequester carbon dioxide as a useful product. The potential for this technology is truly optimistic.